Despite dropping their first points of 2019, Paul Hughes' United side remain six points clear at the head of the table, crucially with two games in hand on all of the chasing pack. United saw a number of regular starters missing. At the back, injury and illness deprived United of the services of Tom Jelley and Liam McDevitt respectively, Rylan Myers and George Spiers deputising. Up front with Elliot Benyon still out injured and Duncan Culley unavailable, Ash Nzala came in to partner Lee Barney. Much as last season, it was the host Tangerines who struck early. In just the fifth minute, a long high ball forwards was superbly dragged down by Mark Bitmead on the left of the United area, his shot across Charlie Burns flying low into the far corner of the United net. In the wind on a bumpy pitch, neither side could really muster a further noteworthy chance until 23 minutes had elapsed. 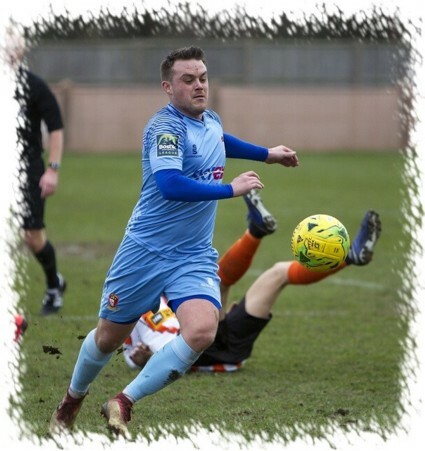 A ball over Ashford defence found Lee Barney being flagged on-side, United's top scorer advanced into the box, his initial strike was superbly blocked out by a sliding Elliot Poley and then from a tight angle Barney could only find the side netting. Within a minute United had a scare at the other end, James Cottee tried to bring down another long ball up field, Ed Asafu-Adjaye got to the ball but his attempted clearance struck Cottee who got in a weak shot that Burns held easily. Soon after United were again pushing to level the game. 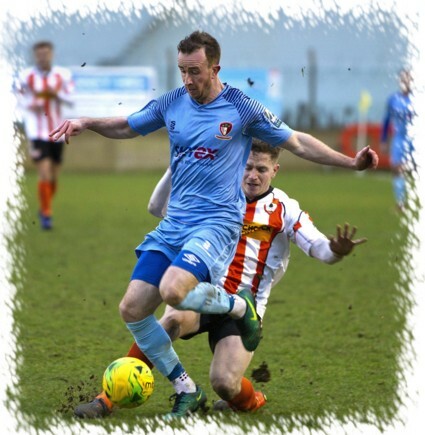 Roddy Collins played in Rylan Myers on the right side, his low centre was dummies by Callum McAllister with the ball falling to Toby Little but unusually his effort was wide of the target. 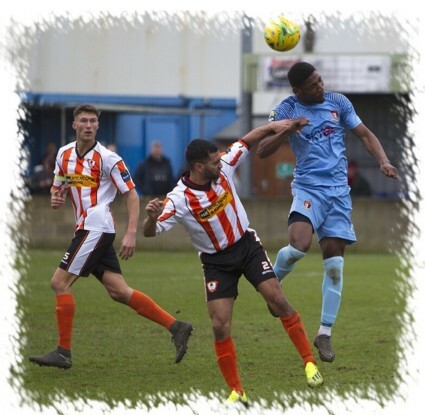 Just past the half hour mark Tangerines 'keeper Rhys Forster was called into action when Ash Nzala found Barney, the striker hitting a shot from the corner of the box only to see his effort pushed wide by the home stopper. Two minutes later and with a touch of fortune United drew level, Little moved into the box from the left, his goal bound effort taking a deflection in the six yard box before flying into the corner of the net. The final chances of the half both fell to the home side. A long range effort from former United man Gurkan Gokmen took a deflection and looped over Burns onto the roof of the United net and then with just a minute to go, Bitmead received the ball from Tom Howard in an identical position to that which he scored earlier, a low drive in the same direction was this time pushed out by Burns with Asafu-Adjaye smashing the clearance against Cottee and wide. Three minutes after the re-start United again found the side netting, again through Barney after he had chased down a ball in the left channel. This was followed a few minutes later by Howard breaking through on the United goal only to be denied a shot on goal by an excellent chase and tackle by George Spiers, the loose ball being cleared. It was past the hour mark before another opening was created, Little firing a free-kick from the left corner of the box around the wall but just wide of the Tangerines goal. Within a minute United were again knocking on the door. McAllister received the ball from Myers, his initial effort was blocked back to him with Forster holding onto the follow up shot from the same player. Fifteen minutes from time Little put United ahead with his eighteenth goal of the season. Myers fired in a deep cross from the right wing, Little brought the ball down near the corner of the box, quickly switched it from right to left foot before curling an inch perfect shot up and beyond Forster into the far corner. Four minutes later United had a chance to potentially push the game beyond the Tangerines reach as substitute Josh Chamberlain broke on goal at pace only to be denied by Forster who was quickly out to block the shot back against the United man and wide of the target. An 84th minute forwards surge by Scott Bridges saw him "fouled" three times on route to the box, referee Scott played advantage each time and the United midfield powerhouse got his shot away but could not beat Forster who blocked the ball away to safety. This was quickly followed by Forster denying Little a hat-trick as he pushed another free-kick around the post and then two minutes later United were hit with a second Ashford goal as Bitmead collected in the box, turned and hit a shot through a crowded six yard box that ended up in the net courtesy of a big deflection, much like United's opener. 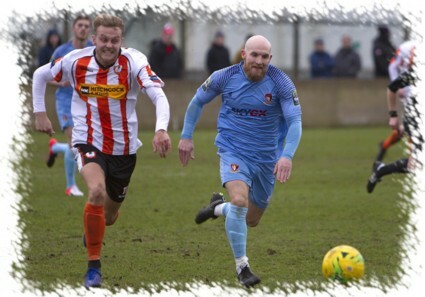 No further chances came about and it was points shared at the end of an entertaining game at the Robert Parker Stadium. United Man of the Match: Toby Little.